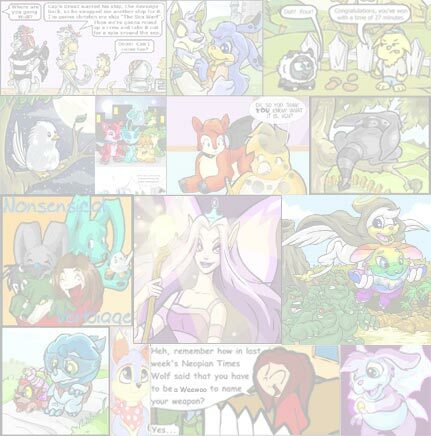 The Neopian Times Week 88 > Short Stories > Swirlyhorn: Wild, Wild Hair! It was a Friday afternoon and my oldest Neopet, Swirlyhorn, sat on her pink bed in the section of the Neolodge we were currently renting. Although I hadn't owned her for very long time, I had come to the notion that I would be spending a LOT of Neopoints on hair and make-up products. There had already been a few instances in which I was forced to run out and buy a new hairbrush or a new mirror, and having an upset Uni was not a pleasant sight. I just hoped she wouldn't teach her younger brothers any of her attention grabbing tricks. As usual, she self-consciously brushed her mane while trying to grasp the hairbrush in her left hoof, not aware of what was going to happen to her over the next week. Just then, I opened the wooden door and helped myself into her room. "Hey Swirly," I smiled and sat down on the edge of the bed that she had her beauty supplies sprawled upon. Swirlyhorn exasperatedly looked towards me and then threw her long hairbrush on the floor. I personally thought that her mane looked beautiful without being brushed, but now it lay long across the sides of her face and untangled, perfectly straight. Her light brown eyes roamed into mine and she gave me an impatient expression. "Mom, could you please buy me some shampoo? I really need it.."
It was my turn to become annoyed. I picked up the brush off of the floor and placed it on the bed, shaking my head in response to Swirly's inquiry. This was not the first time she asked me to append more hair supplies into her weekly gain we managed to compromise on a little while ago. "No, Swirlyhorn. Did I not tell you that we couldn't spend thousands on hair supplies?" "But I NEED it this time. I'll take anything, anything… Even some Peophin Shampoo. Please, mom. Just this once." There was something else I wanted to say to her, but after thinking to myself I decided to just let it go. So I regretfully gave into her demands, not in the mood for a headache, and gave it a try. 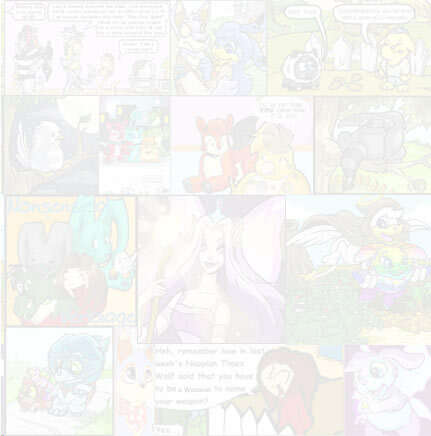 My other Neopets were, of course, upset that the oldest was able to get out of a restriction and they weren't. "That's not fair!" I can recall Saigru whining. "I always do my chores and behave, and I never get any extra accessories!" After much debating, Saigru went out to the Grooming Parlor for me and picked up a Peophin Shampoo with some extra Neopoints that I had left over from playing Destruct-O-Match earlier that morning. It was good that my Kougra traveled pretty quickly that particular time, because my Uni found it comforting to pout and throw things at the wall while waiting for her hair product to arrive. Finally, I was able to sneak back into her bedroom with something to calm her with. Holding out the plastic, shampoo-filled bottle, I confronted Swirlyhorn cautiously. "Here you go, sweetie. Some Peophin shampoo." Swirlyhorn frowned and began to pout a little bit, her chubby cheeks seemingly on fire with red fury as she explained to me, "I didn't mean that LITERALLY! Oh my, how am I supposed to wash my hair with Peophin Shampoo?" I gritted my teeth and then explained patiently, "Saigru said that this is all they had left though, so he decided to pick it up anyway. Besides, it shouldn't hurt to use a species specified shampoo this once." I know some say that "little white lies" don't hurt, but in this case, it did. That evening Swirlyhorn took a three-hour bath in the bathroom, while her brothers were out in the hallway protesting. The word "protest" usually means "to object to", but in this case it means, "to roll around the carpeted hallway, banging on the bathroom door with massive paws and making the other residents of the Neolodge furious". However, after she finished, everything had settled down a bit. For some reason I felt guilty for not being completely honest with Swirlyhorn, and anxiously walked around, biting my bottom lip. The first night was fine, and then was the next, and the next. I soon was able to continue with my regular routine of playing games and cleaning without feeling guilty, and Swirlyhorn continued to use the shampoo daily. Until about a week after she began using the shampoo, disaster struck. One evening I curled on the beanbag chair in Jyrosen's room, rereading Issue 85 of The Neopian Times, when I was suddenly greeted by a sudden burst of the door. I nervously looked up, placing the newspaper on the floor. Swirlyhorn's cheeks were flustered with a hue of dark red, her brown eyes seemingly lit with fire as she approached me angrily. There was a red bandana on her head. I asked, "Swirly, what's the matter?" "I'll tell you what's the matter," she began, and then tore the bandana off of her head. Her locks fell long and wildly curly to her shoulders, almost similar to that of a Peophin who hadn't brushed their hair in three years. I bit my lip, noticing the color of them was now a vivid orange and red as opposed to white. "THAT'S what's the matter. I spent all day trying to comb my hair out. ALL DAY. That cheap old shampoo you brought me ruined my appearance forever! Just look at my hair!!!" I tried not to laugh at how ridiculous my Uni looked with her hair so wild. I looked closer and noticed her eyebrows had become red, too. She stood there, still sulking, waiting for an explanation. "Well, Swirlyhorn, I never thought your hair was ugly in the first place. It naturally looks just fine." I fumbled around with the hairbrush tangled within her mixed-colored locks, but detangling it was out of the picture. "We'll have to take you to the Grooming Parlor to get this fixed," I said trying to hold my laughter in. So it was off to the Grooming Parlor we went. The Usul who ran the shop was quite surprised to see us there, because of the fact that Swirlyhorn was pretty professional when it came to dressing herself correctly. "My goodness, Swirlyhorn, look at what mess you've gotten yourself into!" she had said. It turned out that she'd never seen a case as wild as Swirlyhorn's, and took her into the back of the shop to help fix her hair. It was pretty late when we returned back home. We helped ourselves back into the house we rented, not saying a word. Swirlyhorn just sat herself on a chair, not speaking, probably due to her anger. "See you in the morning, Swirlyhorn. Your hair looks great." I kissed her goodnight and then left the room. Despite the fact that she'd gotten all that she'd ever wanted before, Swirlyhorn curled into a corner, staring at her reflection within her mirror with shock towards her shortened hair. She sat there amongst herself for hours. Having shortened hair appeared to be a Uni's worst nightmare. "I have to admit," Saigru panted tiredly, wiping a few beads of seat off of his black colored nose. "It's very difficult to travel all the way from Mystery Island to Terror Mountain without losing your energy." "You amaze me again, bond-sister," Devlin said with a smile. "But what is particularly amazing is that you have never been taught." What horrified me the most was a message on the east wall in peach juice and red ink. "THE SPIRITS OF THE HOOPLA HAVE BEEN AWAKENED. BEWARE THEIR WRATH!"